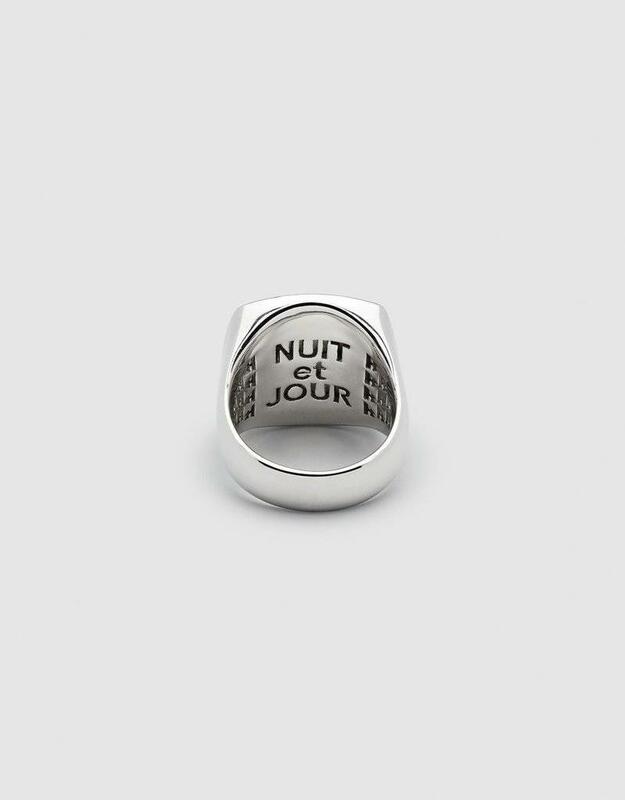 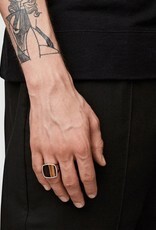 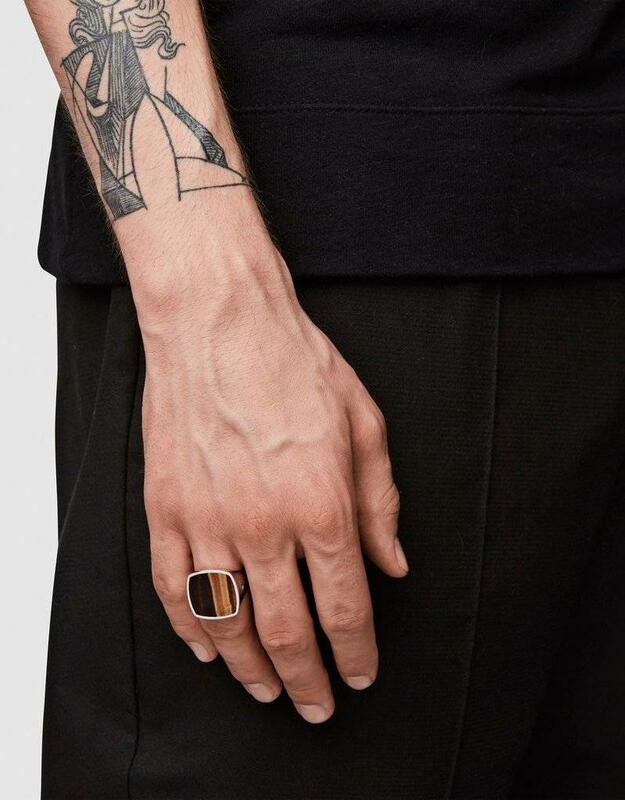 A bold signet ring set with a natural stone of tiger eye and a secret message inside saying Nuit et Jour, inspired by our long days and nights in Paris and Oslo. 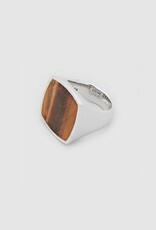 The golden stone is known for enhancing good luck and power. 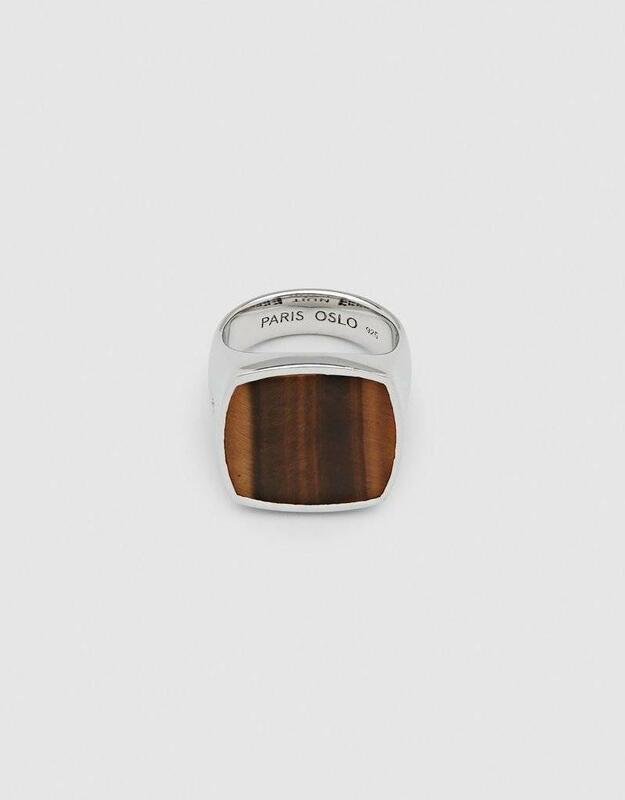 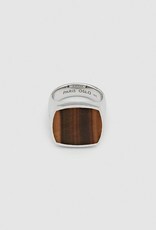 The pattern of the tiger eye gives each single ring a different look.